Back in 1980, the personal computer was new. As a preteen, I used to wonder why anyone would use one. I knew, however, that this was a part of the future, and so I thought it must be a good thing. At the same time, I was spending many hot afternoons in the forest near my home, communing with nature and searching for spiritual connection. I found that connection with all of the life and energy around me. I yearned to learn more and find others to whom I could relate in these matters. It was hard. There was no huge assortment of “Wicca for beginners” books available, as there is today. I was lucky to find two books on witchcraft at the local library. Even now, a trip to the downtown Seattle Public Library finds fewer selections on witchcraft than the chain bookstore up the street. Funny that the Seattle Public Library has several bookcases full of selections on religious studies of a Judeo-Christian nature, but only a handful of titles on Wicca. It strikes me that ignorance and prejudice still rear their ugly little heads, even in the free-thinking culture of Seattle. Since my childhood hometown library yielded some results, I also checked bookstores. I discovered that an independent bookstore in town sold Tarot cards. As my ethnic background is Hungarian Gypsy, Tarot cards were considered okay in our household. I believe it was my elder sister who said, “Tarot cards are okay, Mom. They’re like astrology.” I started collecting them with allowance money. I scanned the shelves at that store, looking at the selections. Seeing books by Starhawk classified as “women’s studies,” in my youthful ignorance I didn’t even pick one up. After a few visits to the bookshop, a woman behind the counter began to chat with me about the Tarot cards. I did not get to know her personally, but looking back I would say that she, like I, was searching and knew there was some way of connecting out there, but we just didn’t have a vehicle to find it. Because neo-paganism is a minority spiritual system or religion, its adherents have generally already broken some ties to the cultural mainstream. Our practices require of us new ways of thinking and rethinking previously accepted norms. We do not have a sacred scripture to keep us all in a line, so we are ever seeking and learning new ideas. All the while, we rediscover the beliefs and practices of our ancestors. The use of the Internet is a natural enhancement for these quests. The Internet can be so helpful in learning that you’d have to be a fool to stay away from it, in my opinion. It is in essence a huge library. All you do is type a word on your computer, and pictures and text are presented on any subject. I use the Internet for news, weather, shopping and especially for e-mail. Like a telephone call, e-mail is immediate, but unlike a phone call it does not interrupt. The receiver can get the communication whenever is a good time for the receiver. The pagan community using the Internet is large and diverse. Made up of so many creative people and free thinkers, this graphic and opinionated medium was an easy hit. Today, there are thousands of pagan-related Web sites, Webrings that link sites together, e-mail lists, chat rooms and even virtual covens that have sprung up. We already knew that our magick was transcending time and space. Why not use the computer to further this transcendence to commune with other like-minded individuals? Many of these are separated by great physical distance and, yes, time (it’s afternoon here, but it’s tomorrow morning in Japan). Nevertheless, virtual covens communicate via e-mail and online chat-rooms. Rituals are held online, often using a graphic interface that each member can watch on his or her computer during the ritual. Where to start? Most people have some search feature on the start page of their Internet service provider. 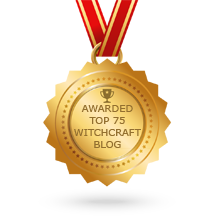 According to Lycos, one of these search engines, of the top 1000 most widely searched-for Web topics, the subject of witchcraft ranked 72 and Wicca ranked 91. A search on the word “Wicca” I just did brings up 59,305 Web sites. That’s right, 59,305 individual listings of Web sites you could look at on the subject. Witchcraft brings up a whopping 108,542! Such a list is hard to sort through, with many of the listings being redundant or actually off the topic you are looking for. The Internet is so extensive as to be almost too big to handle. I have a suggestion. There is one site in particular that stands out among all the thousands to choose from. The Witches Voice Web site, Witchvox (www.witchvox.com), is a nonprofit organization. Wren Walker, Fritz Jung and Peg Aloi created the organization and Web site in 1997. Wren and Fritz had both previously done work for the Witches League for Public Awareness. They currently operate out of their home in Clearwater, Florida. The Witches Voice is one of the most widely used religious Web sites in the world, having registered since its creation over 30,850,000 pages viewed! Their tagline, “Those who walk in love and truth shall grow in honor and strength,” clearly reflects their honest, noble cause. Each week, an update is posted, reflecting current events in the pagan community worldwide. The site is extensive, with 34 chapters containing 3410 Web pages. There are over 5000 working links and over 39,000 personal connections verified every three months. The site is rich in graphics, yet with no annoying advertisements. The Witchvox staff does not take any money for the work they do and state they never have and never will. The Witches’ Voice is funded by the community only. I use the Witchvox site for many reasons. Sometimes I just browse the well-organized links section and learn about different Craft traditions. One will find widdershins.org and several other Pacific Northwest links. Maybe I want to learn about pagan musicians or an Internet pagan “radio” address. “Wren’s Nest” offers the latest news and is a credited source for my own news column, the Speculum. There are surveys and essays written by community members from all over the world. 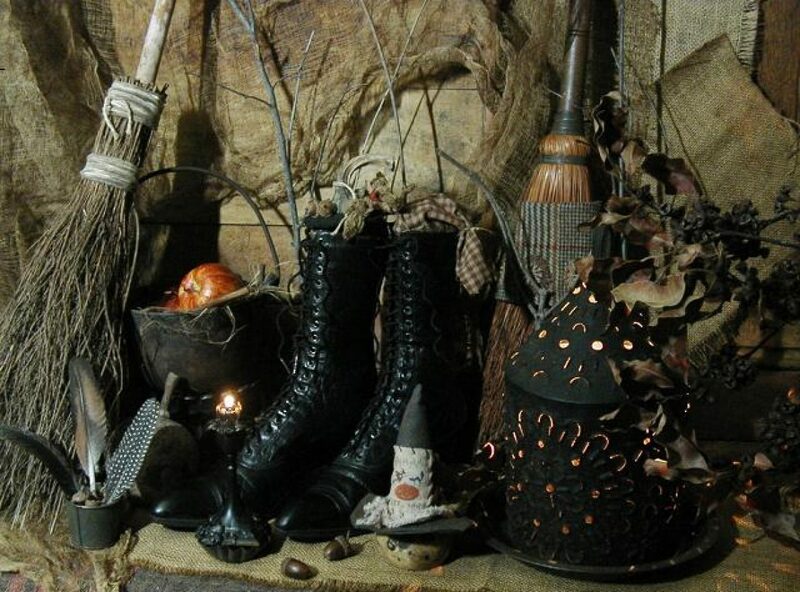 · Witchvox does not teach Wicca or Witchcraft, nor do we promote our personal spiritual beliefs on this site. We offer some of the more popular tenets to those outside of this community in an effort to help them better understand who we are and what we do. Witchvox is about supporting and celebrating the work of the local communities. We are constantly approached for interviews by some of the most famous publications in the world. We defer 85 percent of these requests to witches, Wiccans and pagans at the local level. · The Witches’ Voice will never be about titles, degrees or fame. Our focus will always be related to the work itself. We live in a world of spin, idle promises and hype. It is our observation that the work will ultimately speak for itself. · The Witches’ Voice is a community effort; we don’t pay writers or famous names for articles. Even if we could afford to do this, it’s doubtful that we would do it. We are a site by the community… for the community. All are welcome to submit articles and always have been. Notable pagans are encouraged to share their wisdom and experiences. · The “pages viewed” stats on our splash page are indeed real. They have been faithfully culled from our server logs from day one. They indicate a running daily total of both Witchvox.com and Witchvox.net. Witchvox.com stats are added daily, and Witchvox.net stats are only added at the end of the month. At present, we are pacing at close to 35,000 pages viewed on a daily basis. If you prefer to work with the concept of “hits” (page elements) you can multiply that number by 5; if your preference is for actual visitors, divide this number by 5. · The Witchvox focus is on the present day and the present way. To us everyone is special and valid in their own personal beliefs. All you have to do to get “featured” here is to do something for the community. We don’t care if you found this path last month or 25 years ago. We do “lean into” individuals and groups that consistently work for the community. Current selfless work, for the good of all, means everything to us. · The Witchvox staff have no desire to impose our own personal morals on anyone. “An it harm none, do what ye will” — we do maintain a strong sense of ethics. We encourage honesty and direct contact by anyone that has concerns related to what we do. · We have a rich history of answering 99 percent of our e-mail on a daily basis (we sure have received a mountain of it). We do not participate in “he said/she said” gossip and do not respond to background bitching. Our e-mail addresses are accessible via links at the bottom of all of our pages. · As always, our goal is to create solutions that are both valuable and useful to the pagan community. Both Witchvox.com and Witchvox.net are here for your news and networking needs. Use them with our love. · Use the Internet! Start with The Witches’ Voice, www.witchvox.com, and you’re on a firm launching pad for all of your neo-pagan spiritual explorations through cyberspace. Posted on June 20, 2011 by ladyoftheabyssPosted in Daily PostsTagged Pagan, Paganism, Religion Spirituality, Seattle Public Library, The Witches' Voice, Webweaving, Wicca, Witchcraft.